Shin (2011:5) stated Young learners should have fun with English! The purpose of this program is to introduce participants to the theory and practice of teaching young learners in the EFL classroom. Participants will engage in enjoyable activities designed specifically for young learners, such as songs, chants, finger plays, and storytelling. In addition, participants will discuss approaches for teaching language within a meaningful context and share effective techniques for making language input comprehensible and encouraging student participation. By the end of the program, participants will be energized and ready to make their young learners have fun with English. How to Make Fun English Teaching? Shin (2011: 6) Teaching English to Young Learners (TEYL) is a rapidly growing field around the world, and English education is increasingly found at the primary levels. However, starting earlier is not necessarily the solution for producing better English speakers. Therefore, what can EFL teachers of young learners do to take advantage of the flexibility of young minds and the malleability of young tongues to grow better speakers of English? a. Supplement activities with visuals, realia, and movement. more interested in the physical and the tangible. Their own understanding comes through hands and eyes and ears. The physical world is dominant at all times. Having children involved in creating the visuals that are related to the lesson helps engage students in the learning process by introducing them to the context as well as to relevant vocabulary items. Students are more likely to feel interested and invested in the lesson and will probably take better care of the materials. A thematic unit, a series of lessons on the same topic or subject, can create broader contexts in which to teach language, recycle language from lesson to lesson, and allow students to focus more on content and communication than on language structure. 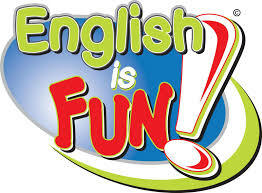 Belum ada tanggapan untuk "Fun English Teaching "